We are delighted to announce that 35 members of the Ravensby Glass factory staff completed their SVQ training programmes. 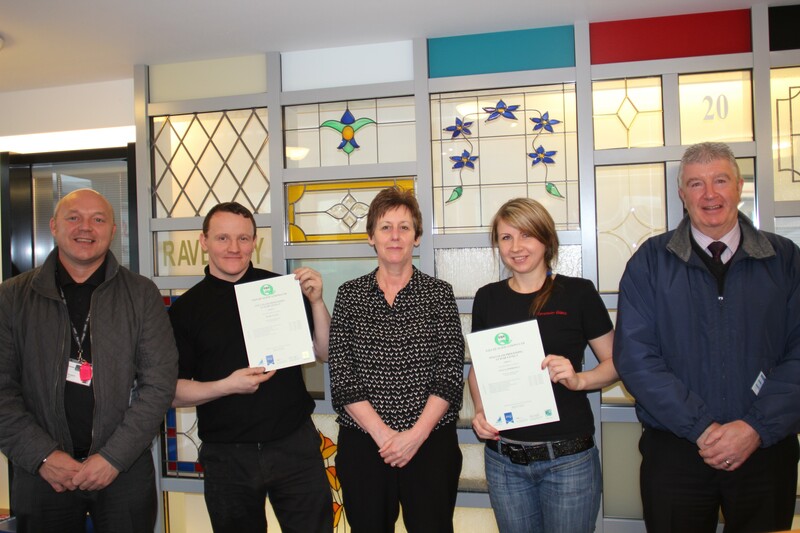 The programme was run and founded by the Vocational College and allowed employees to gain an SVQ2 in Glass Processing. At Ravensby we believe that on-going training is essential as it leads to improving the effectiveness of the current workforce and ultimately improves productivity and adherence to quality standards.